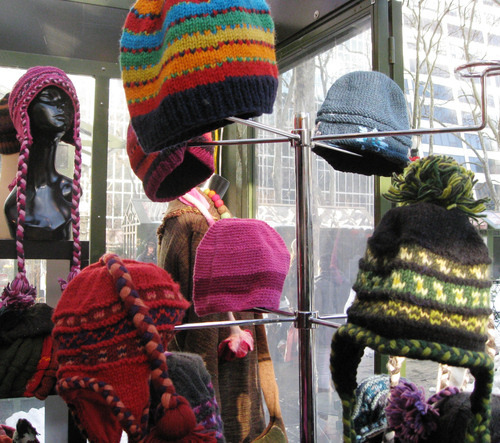 Every week, a lucky Bryant Park Corporation employee gets to explore The Holiday Shops at Bryant Park to give you a glimpse at what this year's vendors have to offer. 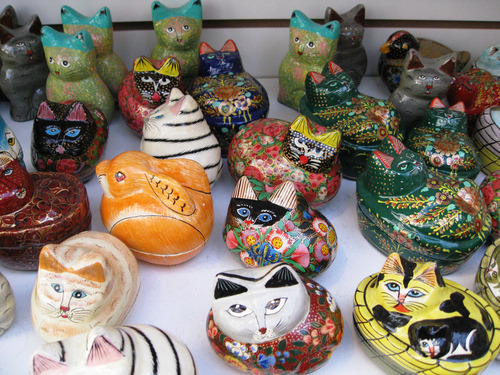 Vita found an array of globally produced and inspired gifts for anyone on your shopping list. One of my favorite things about New York City is that you can experience so much culture in one place. This season, The Holiday Shops present an incredible variety of merchandise from countries around the world. 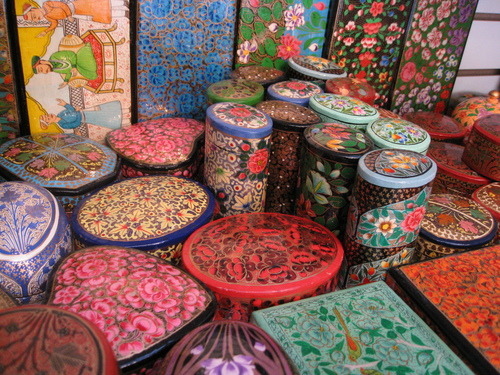 Art of Kashmir has a bright collection of hand-painted boxes, from $10 to $20, perfect for your pack-rat friends. The round boxes on the top shelf do double duty as storage for matching coaster sets (at $25), and the animal shaped boxes are too darn cute. Art of Kashmir’s sister kiosk in the park, Kashmir Moon, is also worth a visit for a beautiful selection of handmade rugs and embroidered jackets in similarly intricate patterns. The shop owner showed me how to spin the accompanying wooden handle around the bowl to create a hollow singing sound. 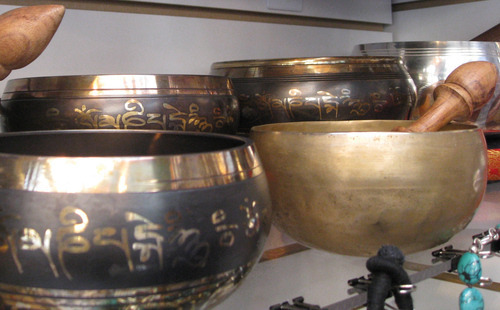 According to the Zen method of meditation, the sound is a way to connect the spirit to the rest of the world. The small bowls start at $49. 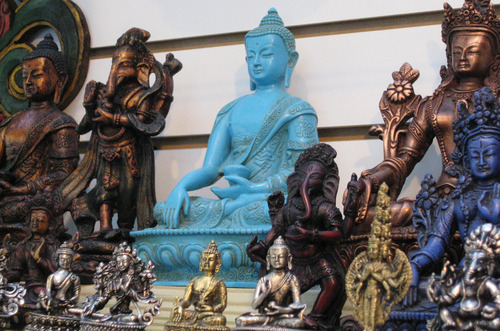 The kiosk also has a large selection of majestic and peaceful Buddhist Bodhisattva figurines. 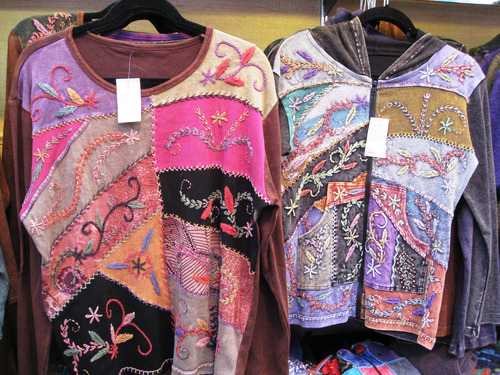 From the same region of the world, Himalayan Artwear sells brightly embroidered shirts and hoodies ($35 to $55), as well as warm and friendly hats ($20 to $25), all handmade in Nepal. 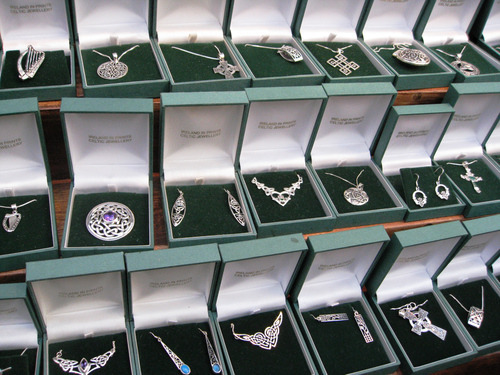 Sterling silver Celtic jewelry, from necklaces to pins to earrings, all hail from Ireland at Ireland In Prints. 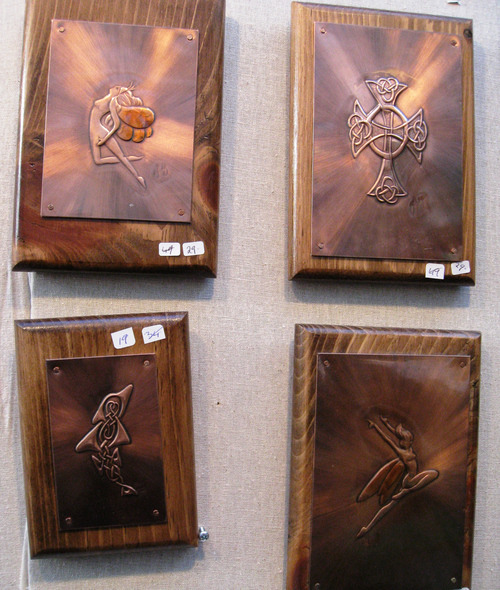 Beautiful and educational, each of these bronze engraved plaques have Celtic myths inscribed on the back of the wooden frame (priced between $19 and $40). Another highlight in the kiosk is a selection of matted photographs from the Emerald Isle by Irish photographer Bill Doyle. I finished my world tour at St. Petersburg Collections. 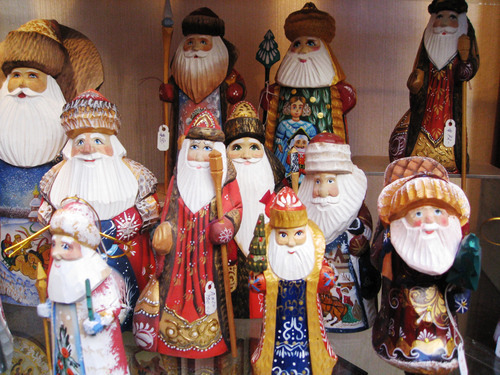 I'm native Russian, so I looked past the matryoshkas to find some real treats, statues of Father Frost, the secular Russian version of Santa Claus. Without Rudolph or chimneys, Father Frost is a centuries old traditional St. Nick figure with a beard who wishes children Happy New Year and brings presents. All you need is a New Year's Tree and a little faith! 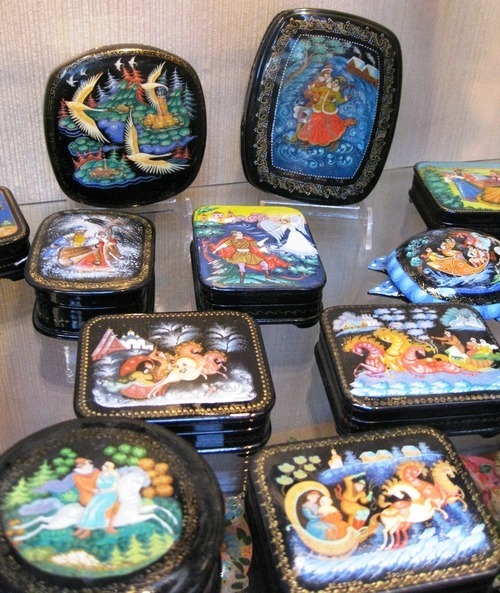 These handcrafted lacquer boxes were another favorite find of the day. Some are painted with landscapes, but the best illustrate scenes from Russian folk tales.